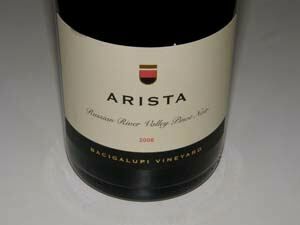 Arista is a small winery estate founded in 2002 by Al and Janis McWilliams. Located on 36 acres along Westside Road in the Middle Reach sub-region of the Russian River Valley, the property was purchased from a former Proctor & Gamble executive. 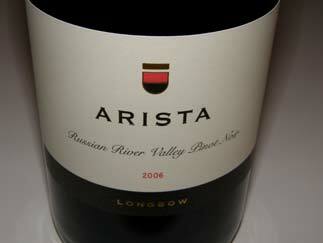 Arista is a family affair with six members of the McWilliams brood involved. The patriarch is Al McWilliams, a former orthodontist. For nearly a decade the family farmed Pine Mountain Vineyards in the Alexander Valley planted primarily to Cabernet Sauvignon. The McWilliams couldn't use their name for their winery since E. & J. Gallo owned a similarly named winery in Australia. The letter sent from the E. & J. Gallo attorney to the McWilliams family suggested two alternative names and Arista won. 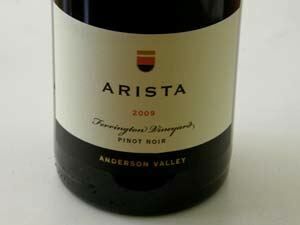 Currently Arista sources Pinot Noir from several vineyards and appellations including Bacigalupi, Toboni, Mononi, Perli, Ferrington and Ritchie. 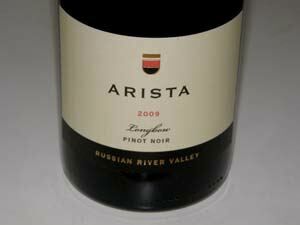 Arista's vineyard holdings include their 36-acre estate, with four distinct vineyards covering 12 acres planted to heritage and Dijon clones of Pinot Noir and Chardonnay. In addition, they acquired the Martinelli Road Vineyard in 2012, which is planted to 5 acres of 130-year-old Zinfandel, 2 acres of 20+-year-old Pinot Noir and 8 acres of 30+-year-old Wente clone Chardonnay. The vineyard manager is Ulises Valdez. A winery is expected to be constructed on the estate property in the future. The consulting winemaker from 2004 to 2012 was veteran Leslie Sisneros who crafted Pinot Noirs for Kendall Jackson for 13 years. She worked along side young Mark McWilliams, who along with his brother Ben are responsible for running the business. 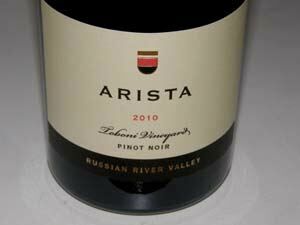 As the brand grew over ten years, there was a need to have a full time winemaker (Leslie did consulting and had her own label as well), so Matt Courtney was brought on as the new winemaker as of January 1, 2013. Courtney had spent the previous eight years at Marcassin Winery. 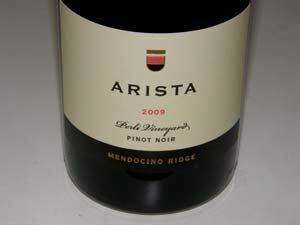 He has a degree in viticulture and enology from UC Davis (2004), joining Marcassin after graduation. 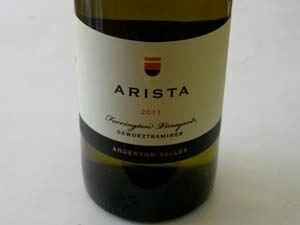 The emphasis is on vineyard-designate wines including Pinot Noir, Zinfandel Chardonnay, Pinot Gris and Gewürztraminer produced in lots of 80 to 300 cases. Total production is 6,000 cases annually. 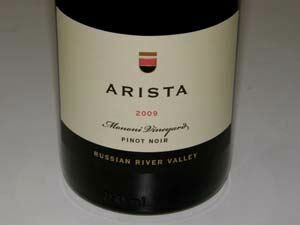 The wines have received considerable raves from the wine press and this has resulted in a crowded mailing list. 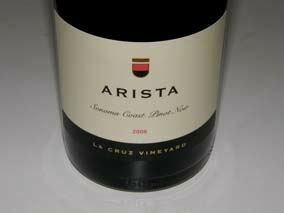 Some of the larger production wines are distributed to retail wine stores and small amounts of wine are available in the tasting room. 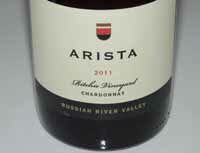 In 2012 second generation Mark and Ben McWilliams bought Arista from their parents. 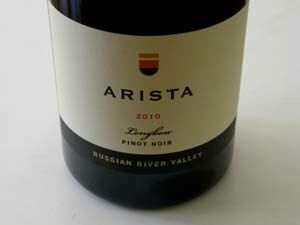 A new label design debuted with the 2014 vintage, and the website was completely redesigned. The winery's beautiful tasting room is surrounded by a serene Japanese garden. Located at 7015 Westside Road, Arista Winery is open only by appointment beginning in 2017. 707-473-0606.